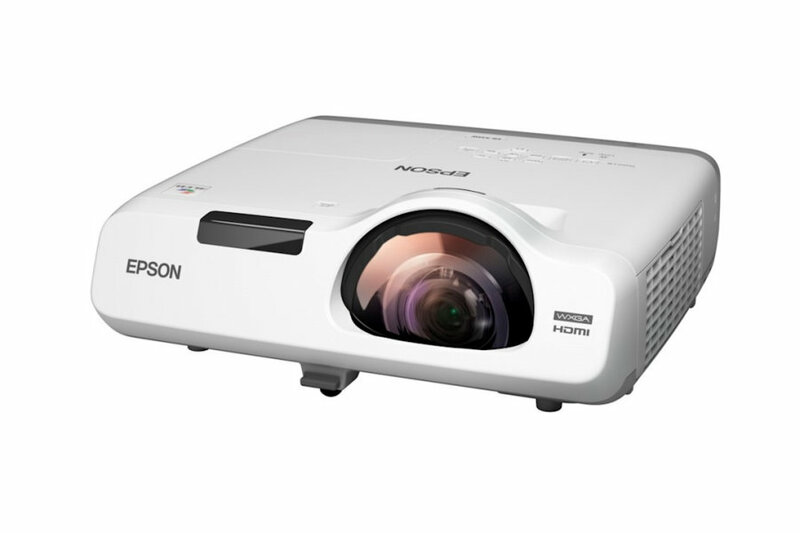 Epson EB-535W short throw projectors provide ultra-bright image quality up to 3,400 lumens both in high colour brightness and in white brightness with 3LCD, 3-chip technology. 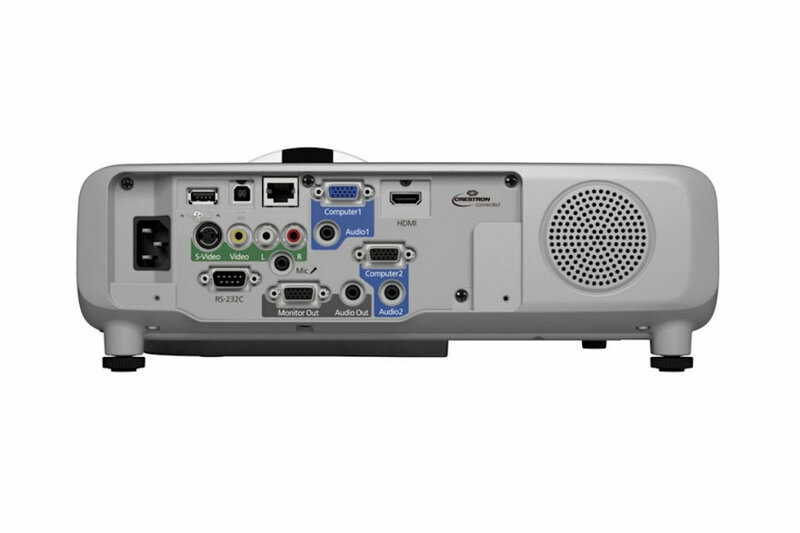 The EB-535w short throw projectors are ideal for delivering large and engaging presentation content in the classroom or office without having the restriction of space. The EB 535W also features a newly developed high precision short throw lens with greater sharpness and improved focus levels. The long lasting lamp, projecting up to 10,000 lamp hours in ECO mode gives an extended period of reliable performance. Suitable for desktop use with convenient table top placement or using the optional wall mount (ELP-MB45), the EB535W short throw offers flexible installation in any environment. Enjoy flexible placement options with the EB-535W. These short throw projectors allow you to maximize your office or classroom space by delivering large images with a short throw distance. Project a large 100” image from just 1.2m away. The EB-535W enables presenters to stand close to the board without glare in their eyes and shadows covering the screen. Versatile mounting options enable the EB-535W to be used in any environment. Mount your projector with the NEW short throw wall mount ELP-MB45, ceiling mount with the ELP-MB23, or simply place it on the table to comfortably accommodate a modern classroom environment or office presentation. With the EB535W, it’s possible to monitor and control networked Epson projectors from a remote location. Schedule power on or off timings, check projector status and receive maintenance alerts. Users can even project presentations in up to four rooms from one networked location. This is possible both over a wired connection (RJ45) and wirelessly (via optional wireless LAN unit ELPAP07). Lamps can blow, if you need your projector working and can't afford down time, you may need to keep a spare lamp. 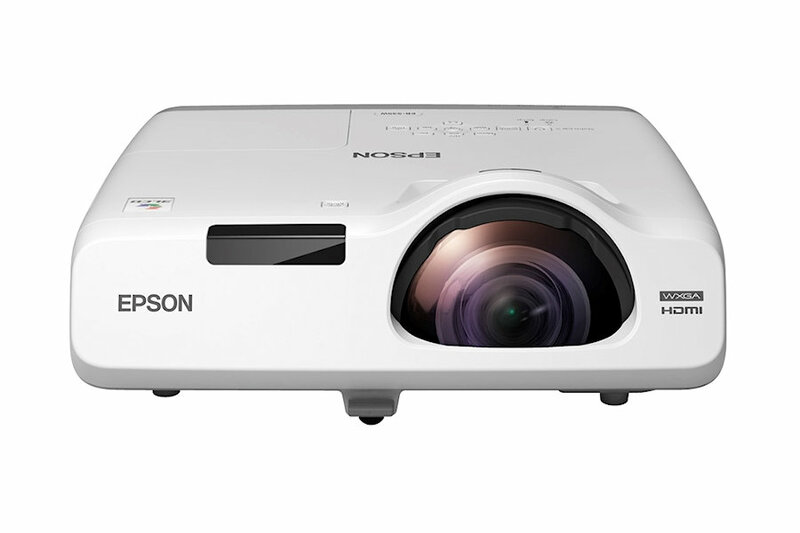 The replacement projector lamp for the Epson EB-535w is the ELPLP87.